Today marks the third week living at my new place. While unpacking boxes of stuff I discovered a box of odd things from my past that included: a pen and ink drawing from 8th grade art class on “Abstract Art”, 10 soccer & softball trophies, my letters earned from school sports, two teeth pulled, and some ribbons from 4th grade field day. These were all in a box, tucked away for no one to see. Perhaps you have had a similar experience when moving; finding sentimental items that seem too valuable for the landfill but not important enough to frame or display? Every time we move, we move boxes that almost never get opened. WHAT should we do with them? Webster defines memorabilia as either (1) things that are remarkable and worthy of remembrance, or (2) things that stir recollection or are valued or collected for their association with a particular field or interest. Thanks Webster but I’m looking for an “items in a box that you have not touched in over 12 months that should be given to charity or thrown away” answer. You are not helping. Now, if I had a den my personal mementos might work well in there framed next to my baby picture, but I have limited space, so if I could get rid of this box of useless items it would be nice. However, all these things do represent happy moments from my past. Looking through this box is an instant cure for sentimental moments that usually apear after a few glasses of wine, or when I’ve moved and open it because I forgot what heck is in there. I should toss them! I mean would I ever say to a friend visiting, “Oh my goodness, I’m so glad you came over! Want to see the letter I earned from high school soccer?” Never! 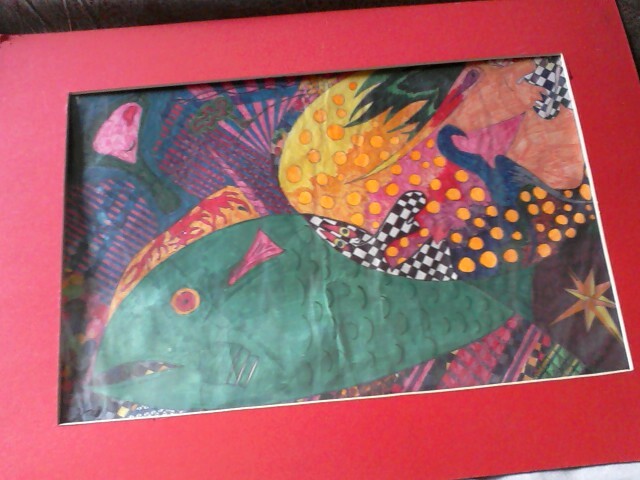 Also, how weird would it be to go to someone’s house and find their eight grade art framed above the couch? Unless it was exceptional work it would be strange. Although I do not need the visual aides to help prove certain moments in time existed, I just do not know what value my teeth pulled when I was 12 will have for my grandchildren after I’ve passed. Regardless, I have to say mementos are important. Some moments and events in our timeline help to define our identity, tell us who we are, challenge us and put new dimensions into our person. Are they touchstones of our character? If so, then there are some items missing. I wish I had a jar of sand from the first beach I built a sandcastle on, a recording of my family singing songs in the back of the green pick-up on our way to go camping, or a box of those summer evenings sleeping out on the grass in our backyard watching the milky way slowly twist itself across the sky. Memorabilia: warm reminders of who we were and where we come from. Perhaps one day these items will end up in a landfill of lost memories, but for now I’ll keep them close to my heart, in a box at the bottom of the coat closet.